"There were families who came to it from Killyleagh parish, wishing to drink of a purer fountain than the bracken pool by the seaside". So wrote the Rev Archibald Lowry of Donegal, son of the Rev Joseph Lowry who was minister of Lissara from 1809 to 1858, and he was making reference to some of these families who formed a praying society which met in a room at Ballydugan outside Downpatrick. These founding families of Lissara congregation did not all come from Killyleagh, but also from Downpatrick, Clough and Kilmore as well. Lissara Congregation came into being as a Secession Church, which originated in Scotland in November 1733 as a result of the passing of the Patronage Act whereby a minister could be appointed despite the opposition of a congregation. The Revs Ebenezer Erskine, Wm. Wilson, Alexander Moncrieff and James Fisher withdrew from the jurisdiction of the Church of Scotland and formed an Associate Presbytery which became the Secession Church. On 9 July 1746 they founded the church in Ireland by the ordination of Mr James Patten at Lylehill in County Antrim. The "purer fountain" to which Archibald Lowry referred was of a doctrinal nature. A mood of what was called moderatism had crept into the church's preaching and it was to this as much as to the Patronage Act that some families took exception. It is perhaps significant that the founders of this congregation came from Killyleagh where Dr Dunne had non-subscribing tendencies and Downpatrick and Kilmore where the Nevins and Neilsons became non-subscribers and eventually Unitarians. About the year 1770 a site in Lissara Townland close to what became the town of Crossgar, was chosen as the most centrally convenient for such a widely dispersed congregation and the original Lissara Meeting House was erected on the site now occupied by the Roman Catholic Primary School. It cost £150 raised largely by the exertions of Mr Thomas Newell. The infant congregation was not able to support a minister so it was united with 2nd Ballynahinch, now Edengrove to call the Mr Thomas Gobbin Fryar on 2 May 1774. He ministered for only eight months dying at the early age of 29 in January 1775, to be succeeded by Mr John Sturgeon in July 1776. He died in 1793 and thereafter Lissara and Edengrove separated and in November 1793 Mr John Reid was ordained as the first absolute minister of Lissara. Mr Reid resigned in 1801 to go to Drumbanagher and was succeeded by Mr Alexander Denham who, for acquiring intemperate habits and teaching unorthodox doctrines was disanexed from the Presbytery in 1804 and emigrated to America. After a four year vacancy, Lissara took on a more settled nature when Mr Joseph Lowry M.A. was ordained in 1809. Under his leadership the congregation matured. He was a diligent, evangelical preacher, conducted a classical school at Rademon, and was Clerk of the Presbytery of Down prior to the Union of 1840. He died an 21 July 1858 and is buried in the parish graveyard at Kilmore. Mr John Gibson Thompson, the next minister of Lissara was ordained in December 1858. During his ministry the manse on the Kilmore Road, now the Lowry residence, was built as was also the building in which we now meet. The manse cost £320.10s and the church about £1,500. As with most human endeavour the new church project had its critics. Eight members of the congregation declined to sign an agreement authorising the committee to hand the old site back to the landlord, a Mr Keown of Ballydugan House; and this in spite of the fact that the lease would expire in a very few years and the landlord’s generous agreement that the materials in the Church, Session Room and Sexton's house could be recovered and used in the new building. Advice of Council for Church House was sought and the will of the sensible majority prevailed. Mr Barrie, Architect of Belfast was commissioned to draw up plans and Mr Stockdale, builder, Downpatrick given the task of building the new church. The foundation stone was laid on 09 August 1865 by James Sharman Crawford J.P, and the church opened for public worship on 14 April 1867 when the preacher was the Rev Samuel Dill D.D. Professor of Theology at Magee College. Mr Thompson died in June 1887 and is buried in the Presbyterian Graveyard at Kilmore. He was succeeded by the Rev John Johnston M.A. in March 1888, whom many in the congregation will remember. During his ministry the pipe organ an innovation which caused much controversy was installed. The beautiful stained-glass window in the west gable well was installed in his memory and unveiled and dedicated during the ministry of his successor Rev Wm McClure B.A. in January 1938. Rev McClure was installed in December 1923. During his time the present church hall was built, electricity took over from gas lighting and the leaded panes were installed in the windows of the church and dedicated on Christmas Day 1949. April 1951 saw the Rev Samuel Finlay M.A. installed amid stirring events in Crossgar; leaving with tragic suddenness on 12 July 1960, after a fruitful ministry. During his ministry the McClure room was added to the Church Hall. 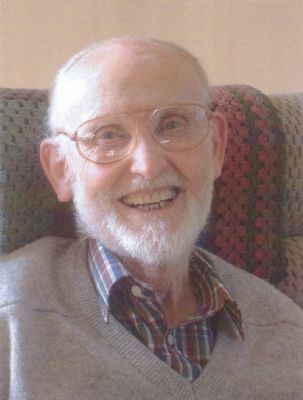 The Rev Maurice Ryan B.A., B.D. was with us for a short ministry from November 1960 to March 1962. He was succeeded by the Rev S G M Logue B.A. during whose ministry the new manse on the Downpatrick Road was built. The Rev Logue demitted his charge in December 1972 and was followed by the Rev S. A. Matthews B.A, B.D. on 9 May 1973. The Rev Matthews moved to Bannside in 1979 after overseeing the erection of the Finlay Memorial extension which gave an expanding congregation the necessary facilities of a modern kitchen, extended minister's room, cloakroom and toilets for all the activities in our busy recreation and lecture hall. Our present minister the Rev S Armstrong B.Sc., B.D. arrived on 28 February 1980. To list all his achievements will be the pleasant task of some not too distant leisure hours, but the most readily apparent is the recent refurbishment and interior decoration of this hallowed sanctuary some four years ago. In this short account it would be impossible to tell in adequate detail the story of Lissara Congregation but hopefully a fuller account will be available in the not too distant future.